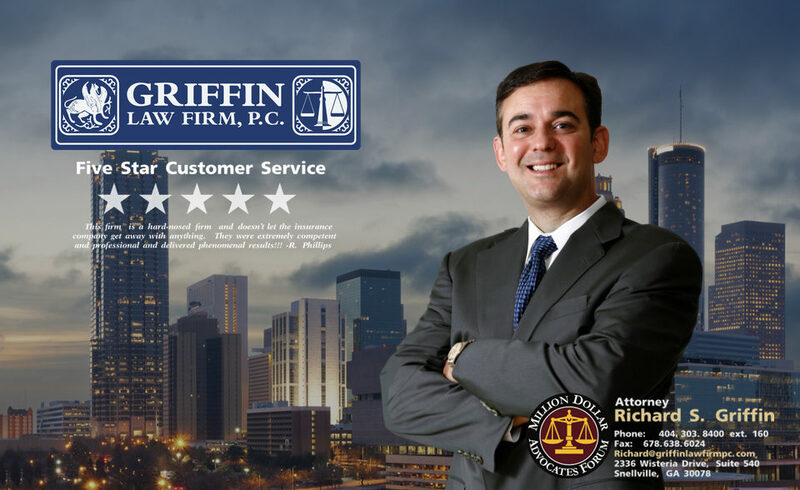 The Griffin Law Firm has the legal experience and the resources needed to make sure you receive a fair wrongful death recovery. We have references to some of the Georgia laws that deal with wrongful death and survival actions in Georgia. However, it is very important that you know that laws change and require an experienced lawyer to understand and apply. For this reason we strongly encourage you to call us at 877-529-7070 or 877-PAIN-LAW to fully discuss your wrongful death or personal injury claim. Wrongful Death Claims: The controlling statutes for wrongful death claims caused by someone else’s negligence are O.C.G.A. Section 54-4-1 through O.C.G.A. Section 54-4-32.
Who can bring the wrongful death action? O.C.G.A. Section 19-7-1(c) allows for the surviving spouse to sue for wrongful death. If there is no surviving spouse, the surviving children of the deceased party can pursue the wrongful death claim. Can you recover punitive damages in wrongful death claims? Punitive damages are money damages for the “willful and wanton acts” of the defendant. These acts usually are acts that demonstrate a willful disregard for human life such as drunk driving (DUI) and hit and run. Punitive damages are not allowed in wrongful death actions by the surviving family as established in the case Roescher v. Lehigh Acres Development, Inc., 125 Ga. App. 420, 188 S.E.2d 154 (1972). However, the estate’s administrator can seek punitive damages when the defendant’s conduct was egregious in a Survival Action as established in Donson Nursing Facilities v. Dixon, 176 Ga. App. 700, 337 S.E.2d 351 (1985). What is the Statute of Limitations for a wrongful death claim? Wrongful death actions arising from auto accidents in Georgia have a Statute of Limitations of two years. This means that the wrongful death claim must either be settled or a lawsuit must be filed within 2 years from the date of the death. If you do not settle your wrongful death claim or file a lawsuit before the Statute of Limitations expires, then you are barred from any recovery. There are, however, some exceptions that “toll” or delay the running of the Statute of Limitations. O.C.G.A. Section 36-33-5: Within six months of the happening of the event upon which a claim against a municipal corporation is predicated, the person, firm, or corporation having the claim shall present the claim in writing to the governing authority of the municipal corporation for adjustment, stating the time, place, and extent of the injury, as nearly as practicable, and the negligence which caused the injury. No action shall be entertained by the courts against the municipal corporation until the cause of action therein has first been presented to the governing authority for adjustment. What is the deadline for filing the wrongful death against a Georgia County or State of Georgia? The deadline for notifying a Georgia County for a wrongful death claim is one year from the death. Filing this notice of the wrongful death claim is called Ante Litem Notice. If the Ante Litem Notice is not filed timely and in the proper form, then your claim may be barred. Free Legal Consultation: We encourage you to call us at 877-529-7070 or 877-PAIN-LAW to discuss your wrongful death claim thoroughly and to get the answer you need.